A couple of months ago I got curious about PCB manufacuring, and ended up using Joe Walnes’ open-source PiCrust PCB design to test the process. I sent the ‘Gerber’ files off to a little cheap board house in China, and a few weeks later my boards arrived – and they actually worked! 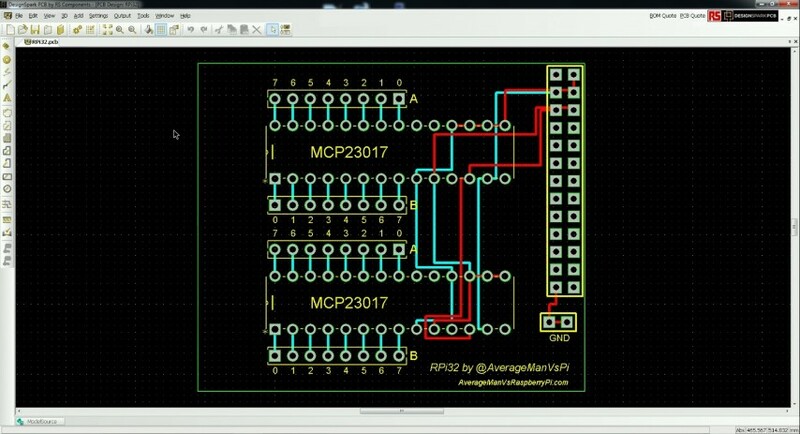 With my 100% PCB-related success rate still fresh in my mind, I decided that I wanted to try and design my own PCB from scratch. I assumed this would require some kind of qualification and expensive software, but to my surprise it needed none of these things. 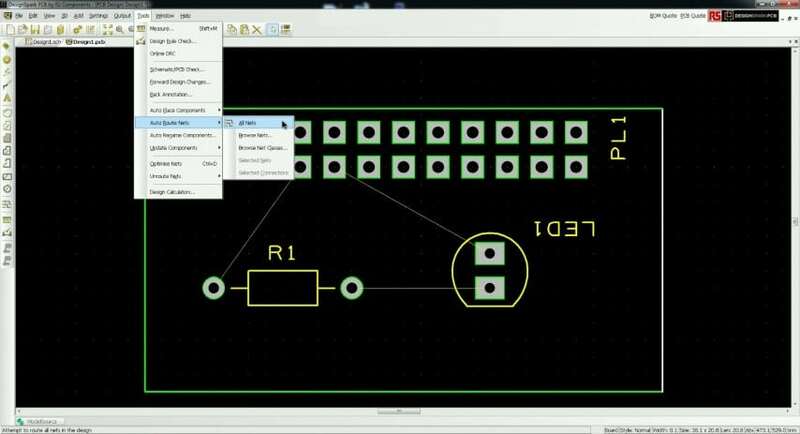 I stumbled across DesignSpark PCB – free PCB design software from RS. Yes, free! 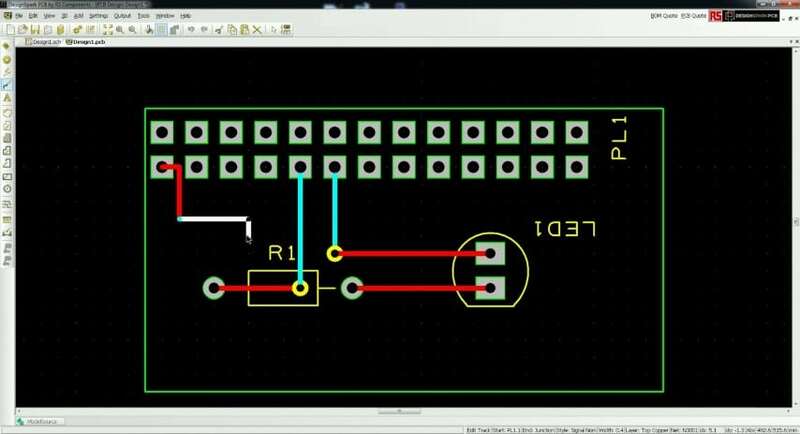 I’ve written this blog post to show you how easy it is to create a PCB for free using DesignSpark PCB. This guide is designed to be a simple introduction based on what I learnt – we‘ll cover more advanced stuff in later blogs. You’re not going to get very far if you don’t download the application, so click the link below to go to the DesignSpark download page. Once downloaded, go through the install and activation process (activation can be achieved using the same link above). This part is very self-explanatory so I won’t go into it. This is the part where I initially panicked. Tabs, buttons, sidebars – and none of it means anything to me!? Luckily for you I’ve done the homework so I can guide you through the process and explain what to do, what to click, where to look and so on. 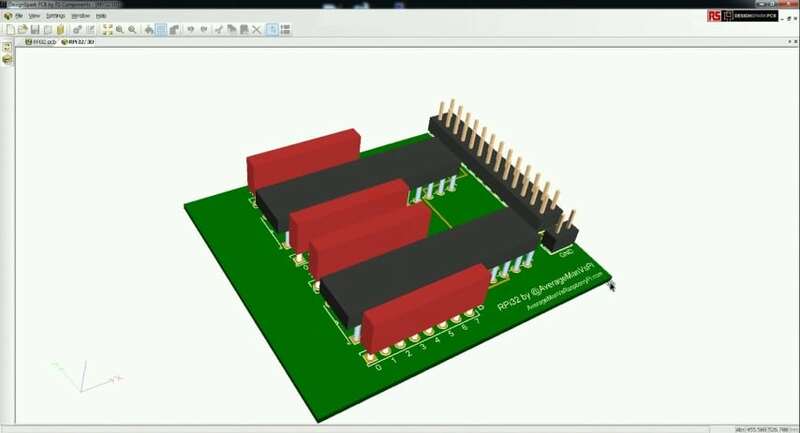 Start your first PCB Project! 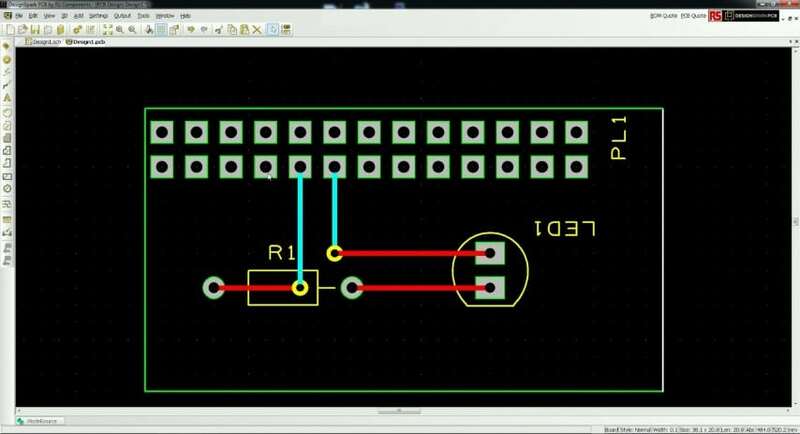 For my first design I used the schematic view first, but I didn’t bother with this the second time as I found it easier to just place the components on the board first and then connect them together. This probably isn’t wise with large complex PCB designs. For the benefit of this tutorial, we will use the schematic view first, then transfer this to the PCB design view. So, let’s grab some of the standard built-in components. 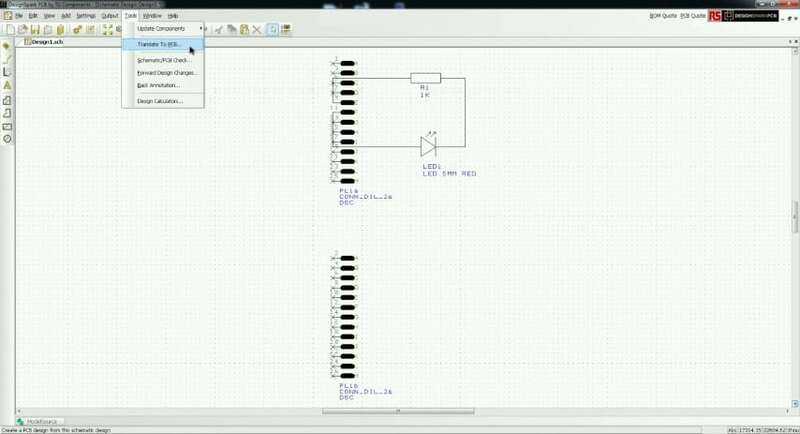 The final component for this simple board – a resistor, for the LED. I’ll leave it at that for adding components in this example, I don’t think I need to show you any more components – you get the jist. Search and add, search and add, and so on. TIP: We‘re using parts from the built-in library, but you can download more from the DesignSpark site. I will cover this in a future blog. 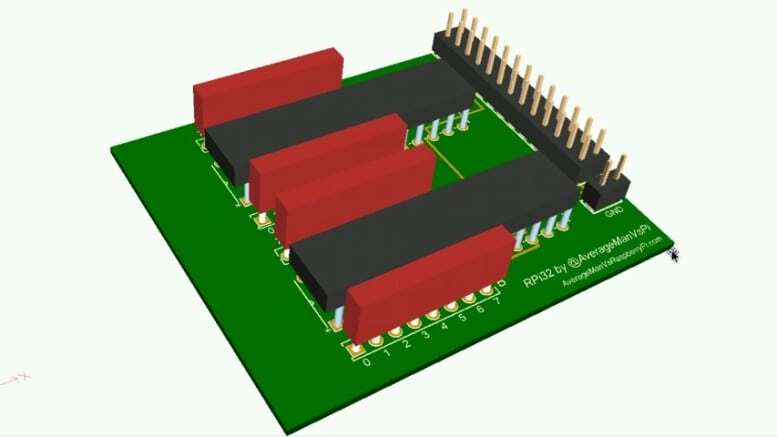 Now that we have the GPIO connector, LED and resistor – we can now connect them to make a circuit. I’m going to connect this LED/resistor to a GPIO pin, which is 3.3V. We should only allow around 16mA max to this LED. I won’t enter the resistor rating in my design, I just want the hole spacing and label to show on my PCB. Your mouse is now ready to connect parts. All you need to do is connect the ends of each part (you connect to the ‘x‘ part of each component), remembering to check the polarity of things like LEDs. TIP: It‘s worthwhile zooming in at this point. To zoom back out to see your entire board, click the ‘View All’ button. 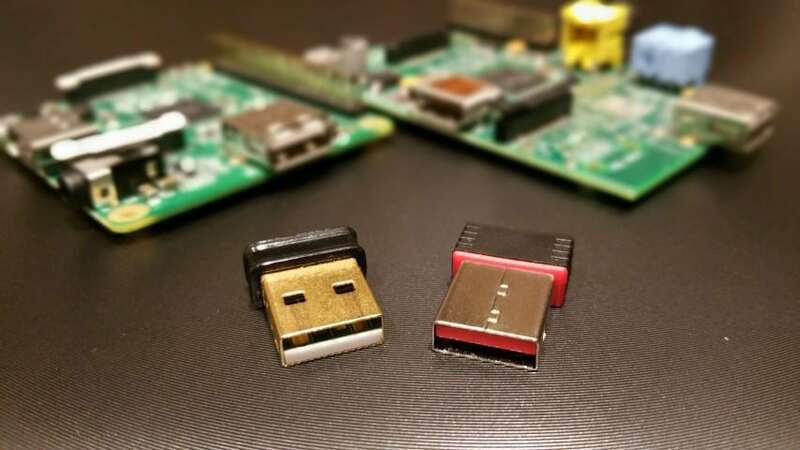 For now let’s assume that’s all we wanted to do – make a simple add-on board for the Raspberry Pi that just has a single LED attached to GPIO 17. 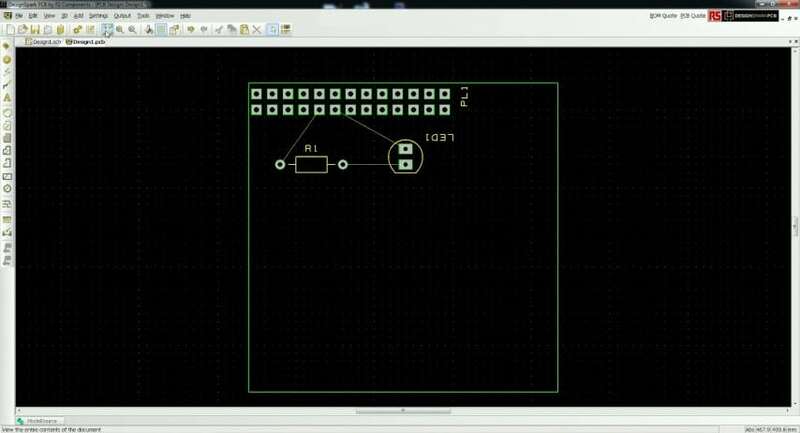 Now that we’re done with the components, let’s move over to the PCB view to arrange them on the board. Remember – you can just come straight to this view at the start if you want to. It’s a personal preference thing – but I imagine the Schematic view is clearer for more complex designs (and using the Schematic view first is probably ‘the right way’ of doing things). The new PCB Wizard box will pop up. Click ‘Next‘ to start. The next page sets up the PCB technology. Don‘t worry too much about this, just keep the option ticked to ‘Use Default Technolgy‘. 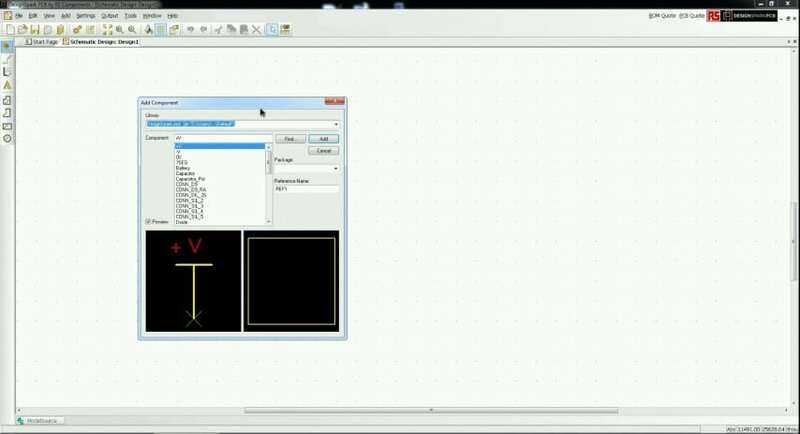 Below this, select your precision – everything I do is in mm, so select this and set the precision a ‘1‘ – for a simple board like this we can work in mm. 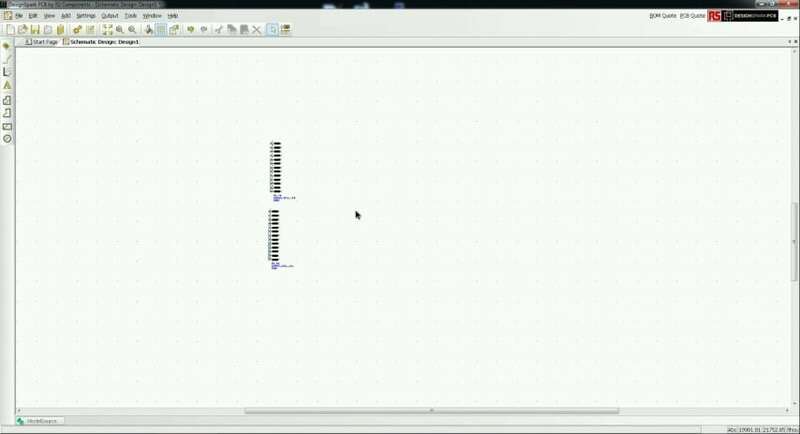 TIP: Later on you can select to work with your PCB grid in fractions of your precision. Click next to go to the next step, which will be the ‘Layers‘ settings. The next section defines the board outline i.e. the shape/cut of the board. It doesn‘t really matter what you enter here as you can adjust it later, so let‘s just got for 50×50. Finally, we need to tell the application if we want it to leave our parts outside the board, or ask it to try and arrange them for us. I‘ve tried both ways, and found that the auto placement option isn‘t really worth doing on simple boards like this as you‘re likely to want to move things around anyway. Once you‘ve done that, press ‘Finish‘ to enter PCB view. 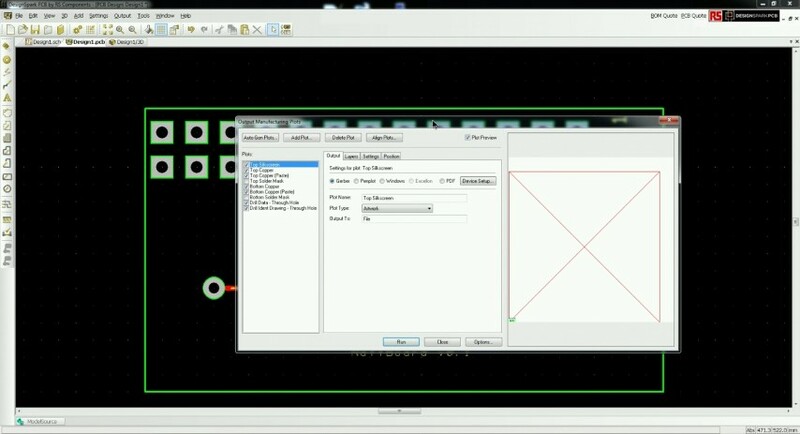 To arrange your components on the PCB, simply click and hold on a component to move it. If you want to rotate a component, just click ‘R‘ on your keyboard whilst it is selected. Route what? “Traces” (or “Nets” or “Tracks”) are just the lanes of copper that connect your parts, think of them as wire on a prototyping board. 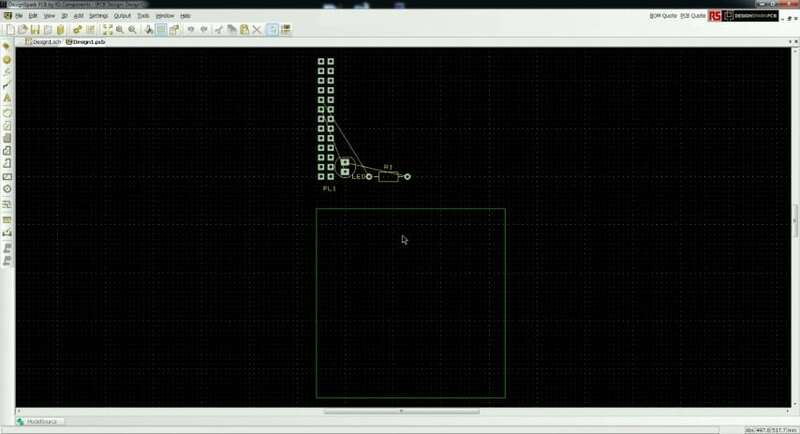 At the moment your traces will be all over the place after placing your parts on your PCB (in this example, diagonal). The easiest way to re-route the traces is to use the built in ‘Auto Route Nets‘ tool that tries to work out the ideal route for all your traces whilst trying to avoid clashes and overlapping at the same time. Now this isn’t always a success, sometimes your design just won’t auto-route properly with your component layout. 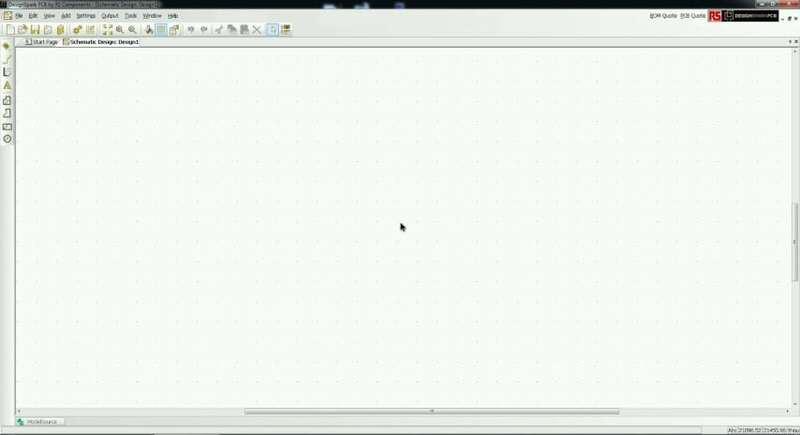 You can always manually draw the traces if this happens. If you want to manually add tracks, click the ‘Add track‘ button to start the track tool. All you do now is simply click the first componenent to start the track, and the second component to finish. Take a look at most, if not all PCBs on the market and you will see numbering, text and even company logos printed on them. 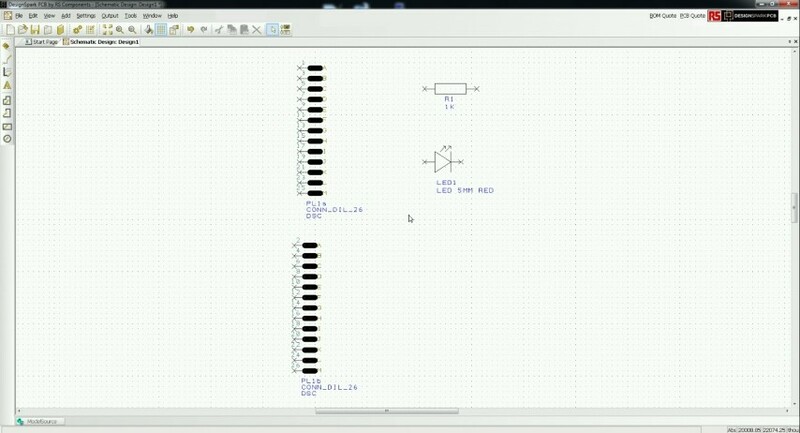 We can do this too using DesignSpark PCB, and it’s very easy. Once you‘ve done that, your text will ‘float‘ until you click to place it (behaves the same way as a component). I‘ve added mine to the bottom of this board as can be seen in the next section in the 3D model. TIP: Double-click on text to change font, size alignment and more. …and that‘s it! 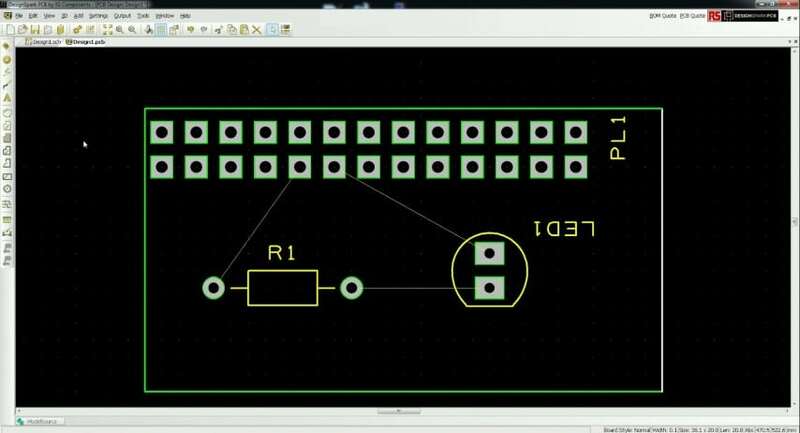 you‘ve got your componenets arranged, traces routed, board outline set and solder printing added – you’re done with the design phase! 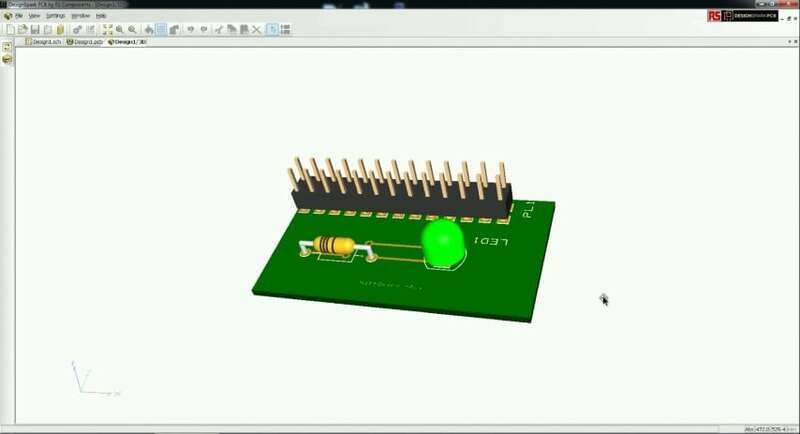 Congratulations, you’ve got a PCB design! Click ‘File‘ > ‘Save As’ and make a note of where your project file is. The 3D view tool is VERY cool! In order for the board house to use your design, they need it to be in ‘Gerber’ format. Gerbers are a set of files, each containing a different element of the board such as outline, drill holes, screen print etc. Combined, they give the manufacturer everything they need to create your PCB. 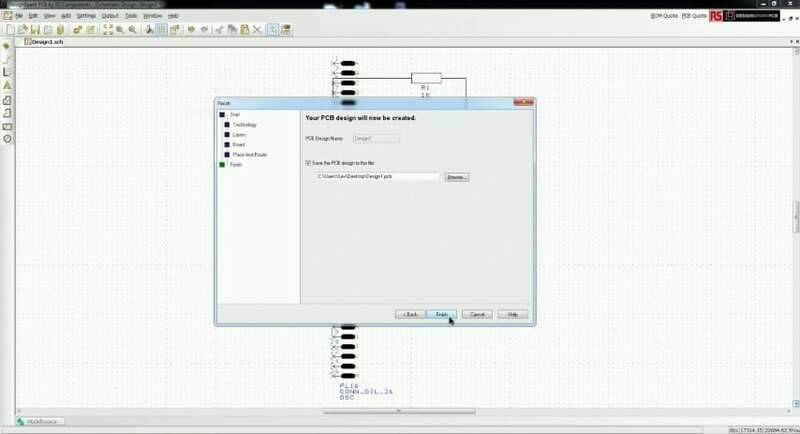 The file you saved in DesignSpark PCB isn’t a Gerber, it’s just a DesignSpark PCB project file. We need to export your design as a set of Gerbers, and then do a bit of file name tweaking to make them acceptable by the majority of board houses. On the left (tick box section) you have the different plots. Everywhere else is generally the settings for each plot. 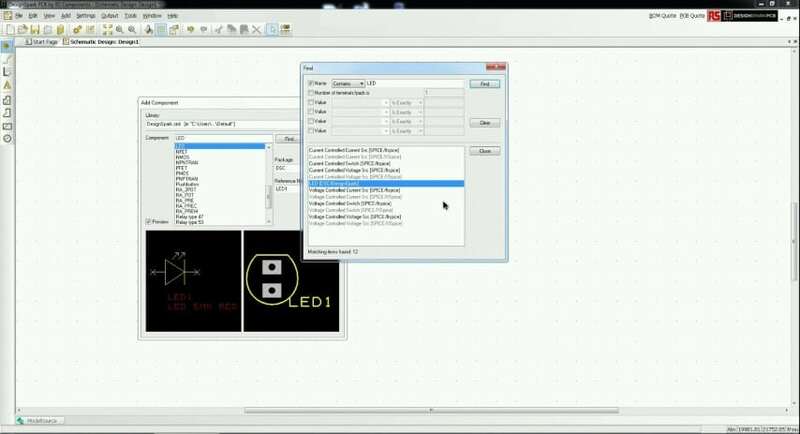 Now the default settings here aren‘t quite right for PCB Manufacturers, so let‘s make the neccassary changes. Click on ‘Drill Data – through Hole‘, then the ‘Output‘ tab, and then the ‘Device Setup‘ button. Un-tick ‘Separate files for plated and unplated holes‘ if already ticked. Click ‘Options‘ (bottom right) and un-tick ‘Include design name in plot file name‘. Also set the output path whilst you‘re here, to tell the application where to save your gerber files. You‘re now ready to run the export. Click ‘Run‘ and give it a minute to export the Gerber files. 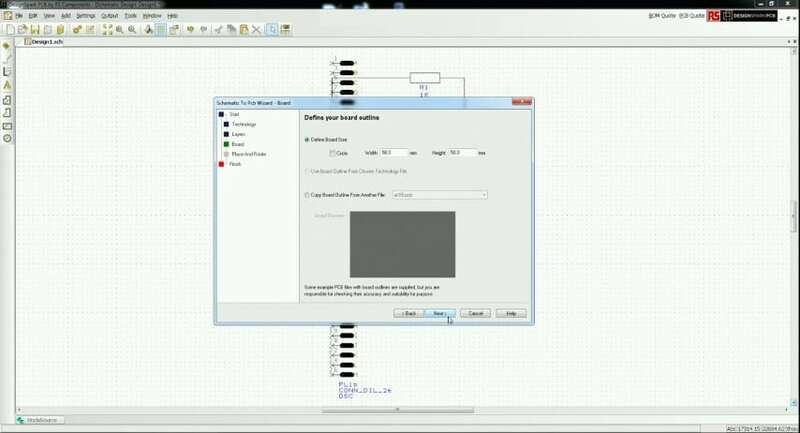 A text file log will appear, just close that and head to the folder that you selected the files to be saved in – you should have a file for each plot we just made. Once you‘ve done that, create a new .zip file and move them inside. Call the .zip file whatever you want, ideally the board name. If you want to test the file, companies like OSHPark.com have an online Gerber checker – but this can be fiddly as they usually look for bottom silkscreen even if you don‘t have any print on the underside. You can get around this by creating a ‘Bottom Silkscreen‘ plot when you make the gerbers. WIN a DesignSpark PCB made by the Average Man! I spent some time fiddling with DesignSpark PCB so couldn‘t resist getting a board made up, just to see if it all worked (it did!). 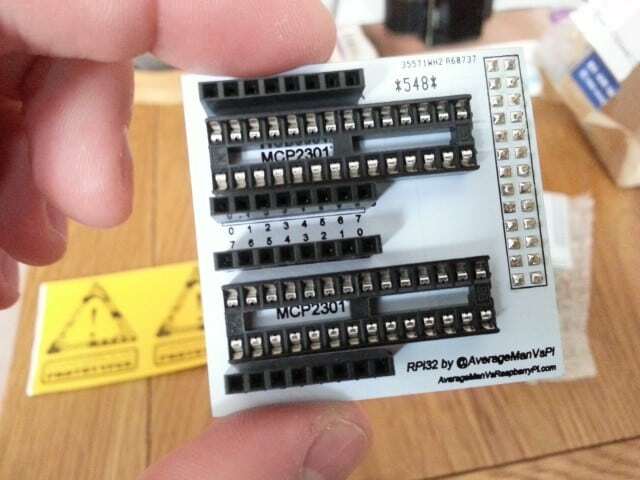 I called it the ‘RPi32‘ – it simply contains 2 MCP23017 chips and headers to give you 32 additional inputs/outputs to connect ‘things‘ to (LEDs etc). The board works but I overlooked the size / outline when I designed it (only works as a stacker as some of the Pi‘s components get in the way), and also the text size (went a bit too small in places) – but they work great when stacked on top of another breakout board. Hey, you live and learn. I have 5 of these up for grabs, and RS have kindly offered to supply the parts to complete the boards. This time it‘s a Twitter ‘retweet and mention‘ competition, so use the button below to be in with a chance of winning. Competition closes Saturday 16th August 2015, 22:00 GMT. 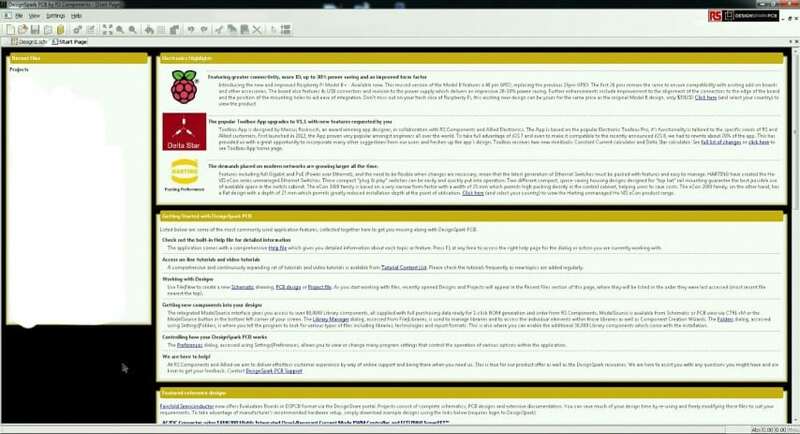 I‘ll also be taking some to the Southend Raspberry Jam on the 16th August, so come see me there if you can make it. As always, if you have any questions – find me on Twitter or post a comment below. 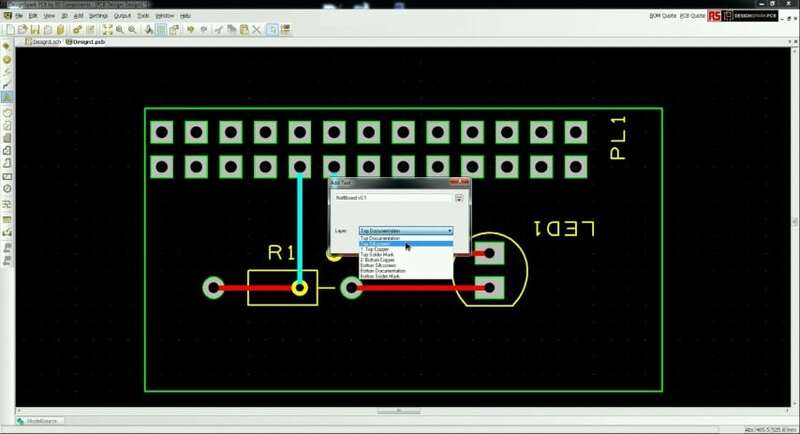 2 Comments on "How To Design a Printed Circuit Board with DesignSpark PCB"
Nice guide! I’ll definitely recommend this to my coworkers. Possible typo in gerber file naming convention: I think that the top copper layer needs to be be a .gtl file instead of gbl (bottom copper layer). Atleast according to oshpark’s website. I have actually been using gbl with all of my board designs so far. They seem to be picked up by the board houses fine, but then again, I do name them ‘top copper’ etc so I guess they figure it out. Thanks though – will check that next time.